Commercial Vacuums - Sanitaire, Riccar, Royal, Carpet Pro, Hoover, Oreck, Dust Care Commercial Vacuums and others. Thanks for visiting Capital Vacuum Raleigh and Cary. Commercial Vacuum Cleaner Sales, Service, Repair & Supplies. 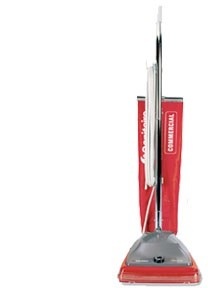 At Capital Vacuum we have a great selection of heavy duty commercial upright and canister vacuums. For floors, low nap rugs and above-the-floor cleaning a canister or backpack is ideal. We stock the best quality commercial brands like Riccar, Carpet Pro, Sanitaire, Royal, Fuller, Hoover and more. Vacuums for offices, churches, retail stores, restaurants, schools, janitors and home cleaning businesses. We are your Commercial Vacuum Cleaner dealer with stores in Raleigh and Cary, NC. We service most Commercial vacuum cleaner brands. We have commercial vacuum cleaner bags, commercial vacuum cleaner filters, commercial vacuum cleaner supplies, Commercial belts, brush rollers and parts for many brands. 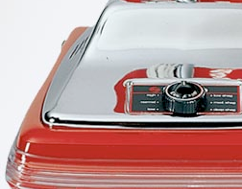 If you want the best commercial vacuum, choose a vacuum cleaner from Capital Vacuum!